We know that money can’t buy happiness, and that the company you work for can influence your level of happiness through factors like company culture and career opportunities. But have you ever wondered if the industry you work in contributes to your job satisfaction? Do certain industries have happier workers than others? And what contributes to a happy workplace? According to a 2015 survey by the Society for Human Resource Management, 72% of respondents said respectful treatment of employees at all levels was most important to job satisfaction. Trust between employees and management was ranked second most important. These factors were valued even higher than salary and benefits. 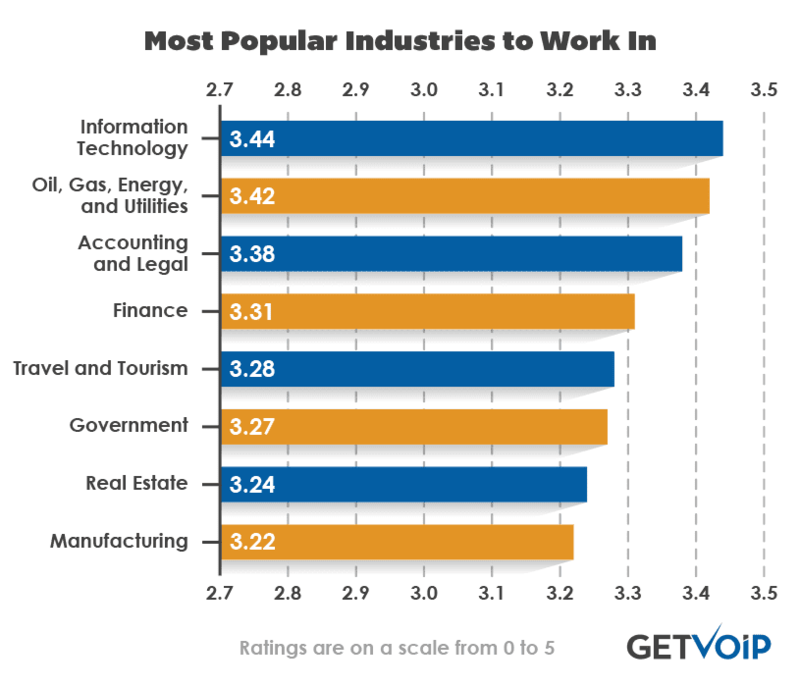 From these findings, it seems that the best jobs and industries to work in aren’t solely based on money or even power. For each industry, with the exception of aerospace/defense and real estate, 100 companies were chosen at random and their ratings were recorded. Aerospace/defense and real estate had 90 and 94 reviews respectively. Each company had to have at least 25 reviews to qualify — this allowed both large and small companies to be included in the study. 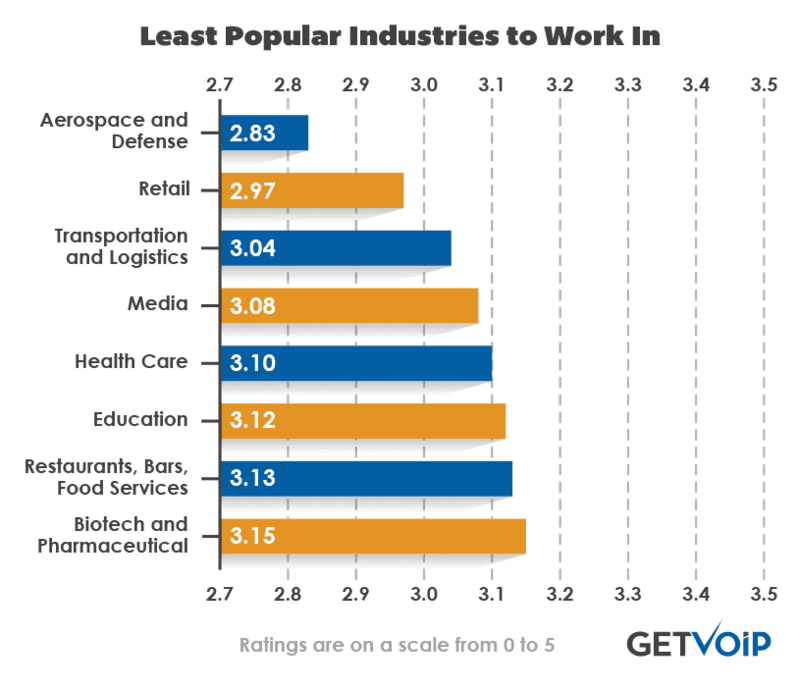 Ratings from the 100 reviews for each company were averaged to come up with the least and most popular industries. Aerospace and defense had the lowest score with 2.83 out of 5, while IT had the highest score with 3.44 out of 5.